How is it the middle of December already? Can someone please press the pause button on my holiday season? Before you know, it will be Easter and everyone will be looking at me funny because I’m still singing Christmas tunes. 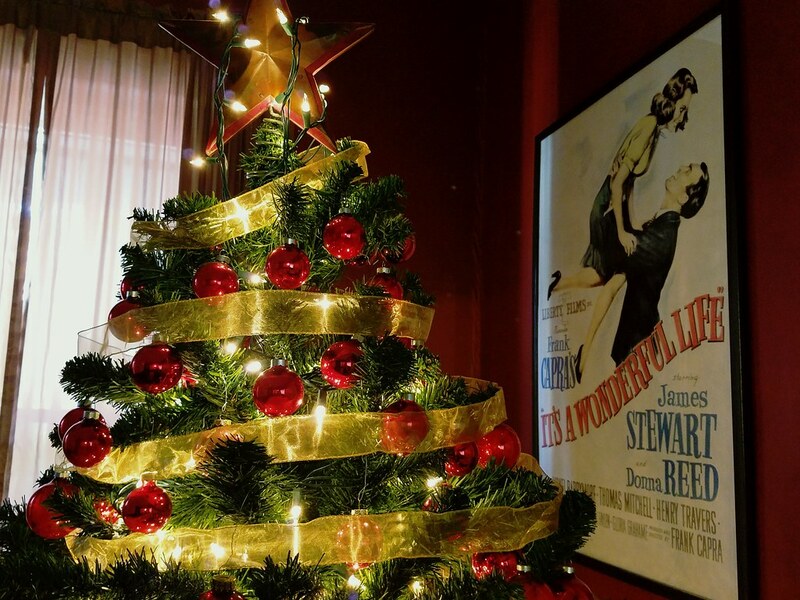 I have three different ‘It’s a Wonderful Life’ decorations in my house which stay up year round–and I love them. A new study shows that owning a dog might not only provide positive social support*, but also reduce the risk of cardiovascular disease. In other words, we made a pretty good decision in getting a dog. Was anyone else completely intrigued by the commercials played throughout the Superbowl last February for Genius? Albert Einstein. Playing Lady Gaga’s Bad Romance on the violin. Come on now. We just finished watching it and while there were moments the story stretched a little too long for me, it was worth it to learn the depths of the story of the person behind the famous name. Blurbs about this have been passing my way for several months now, and it bums me out big time. New Jersey is the only state where people can’t sell home-baked goods. This was something I’d considered, once upon a time, but I knew the state’s rigid laws and erased the thought completely. Learning Jersey is the only state where such a law exists any longer is pretty upsetting. The other option for those unable or not wanting to open their own storefront is to rent a commercial kitchen, which of course, has its set of positives and negatives. If we count today and don’t count Christmas day, you have only ten shopping days left. I don’t want to brag, but I’m finished my shopping. *There’s actually a real reason for why I’ve been so proactive this year. Hold onto your butts** and you’ll find out soon, I promise.